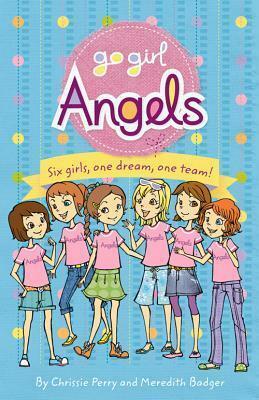 Go Girl Angels : Six Girls, One Dream, One Team! Bonnie, Lucy, Sophie, Annabelle, Lola and Chloe are ... the Angels! Join six of your all-time favourite characters as they compete in the Team Terrific challenge! Anything is possible when girls team together! Chrissie Perry is the author of Flower Girl, The Secret Club, and Surf's Up! Meredith Badger is the author of the Fairy School Dropout and Tweenie Genie series.